Sunday 11 March the celebrated dancer Leela Samson will be the guest artist of the Associazione Gamaka in Venezia with the Performance Aspects of Shiva, a recital of classical Indian Bharatanatyam dance. Dancer, choreographer and internationally renowned teacher, Leela Samson is considered as one of the finest contemporary exponents of the Bharatanatyam dance style. She trained at the prestigious Kalakshetra Academy in Chennai, where she had the privilege of studying with the renowned Rukmini Devi Arundale, founder of the same Institute. After graduating, she entered the dance corps of the Kalakshetra Academy, performing the company’s repertoire both in India and abroad. After many years of training at her Alma Mater, Leela started her career as a soloist, consolidating her personal vision and unique style of Bharatanatyam, that she often represents in her original and innovative choreographies. The choreographic corpus “Spanda” was assembled in this period and was to give the name to the Dance Company that she founded in 1995. 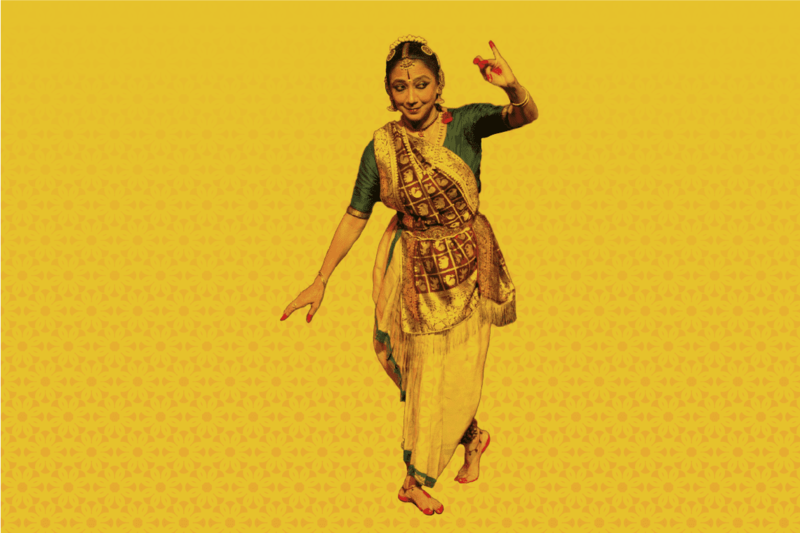 Leela has taught for many years in Delhi at the Sriram Bharatiya Kala Kendra (1975-2005) and Gandharva Mahavidyalaya institutes and has also taught in prestigious international dance academies (Royal Opera House, Covent Garden, and Milapfest). Leela has contributed significantly to the dissemination of classical Indian dance internationally by presenting performances in India, Europe, United States, Africa, China and in various countries in South-East Asia. She has received prestigious awards and recognition for her work: Sanskriti (1982), Padmashri (1990), Nritya Choodamani (1997), Sangeet Natak Akademi (1999-2000) and Kalaimamani (2005). She was nominated President of the Sangeet Natak Akademi (2010) and President of the Central Board of Film Certification (2011) by the Indian Central Government; from 2005 to 2012 she was director of the prestigious Kalakshetra Foundation in Chennai. Two documentary films have been dedicated to her extraordinary career: Sanchari by A. Khopkar and The Flowering Tree by E. Lall. Leela is also author of many articles and two publications: Rhythm in Joy: Classical Indian Dance Traditions (1987) and Rukmini Devi: A Life (2010). Leela is currently the director of the Spanda Dance Company that she founded and regularly performs in India and abroad as a solo artist.